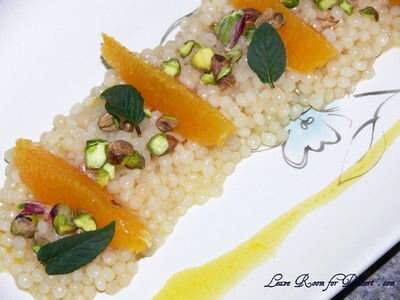 I was intrigued when I first saw pearl couscous and surprised by the lovely pearl shapes it formed. I was sent a packet of Blu’s pearl couscous soon after, and spent a bit of time looking for recipes that I thought would show off it’s shape. First of all, I wanted to make a pretty dessert. Although finding good desserts or sweet dishes with couscous was a bit difficult, but after a bit of research I came up with a recipe that would hopefully work. 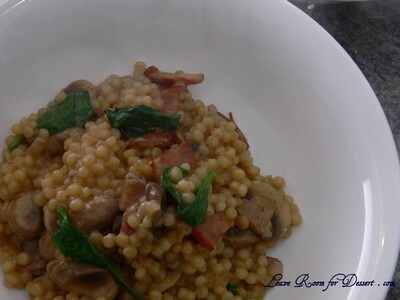 The second recipe I chose was a quick mushroom, bacon and spinach pearl couscous and sounded perfect for a lazy Friday night. 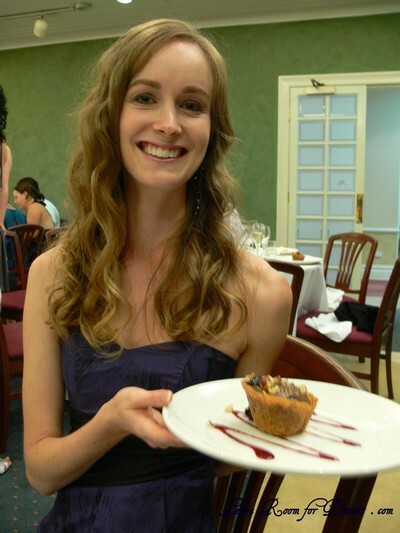 (It’s funny how my second recipe was really our first dish… but as you probably already know – I always think about dessert first). Although I loved the look of my dessert using the pearl couscous, it didn’t really work… the flavours and textures just didn’t work terribly well (so I won’t be supplying the recipe). I really did enjoy the savoury meal, the textures were quite interesting and the couscous itself was very filling. 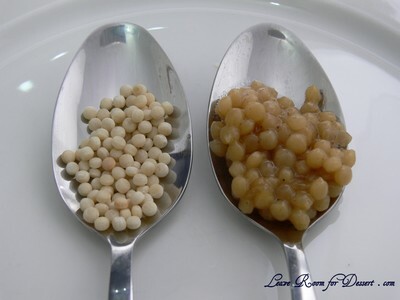 I would recommend using this pearl couscous for savoury foods, I would like to try and make a nice slow cooked lamb with a tomato and red wine flavoursome thick sauce on top of the couscous. It would look great and match perfectly. Heat olive oil in a saucepan over medium/high heat. Add the onion and cook for 10 minutes until caramelising and becoming translucent. Add the bacon and cook for 3-5 minutes, until the bacon has started to brown. Add the mushrooms and cook for 2 minutes. Add the couscous, stir well and then add the hot stock. Bring to the simmer, cover and cook for 10 minutes or until the couscous is cooked. Add the spinach leaves and cook until wilted. Stir in cheese and serve sprinkled with some extra cheese. Filed under Main Meals, Recipes. You can follow any responses to this entry through the RSS 2.0 feed. You can leave a response, or trackback from your own site. 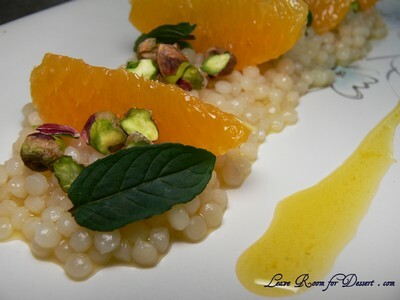 Interesting post and really nice presentations of your dishes. I wondered how much like large pearl tapioca this is? Thought of it when I saw your dessert dish. 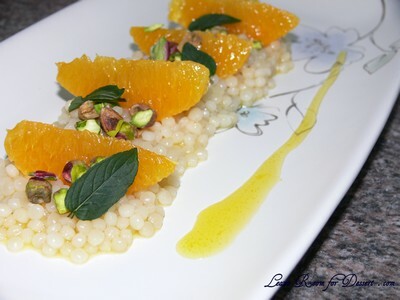 I have been making a lot of dishes with fregola- which is wonderful in savory dishes. Wow, I’ve never heard of using cous cous in a dessert dish before. 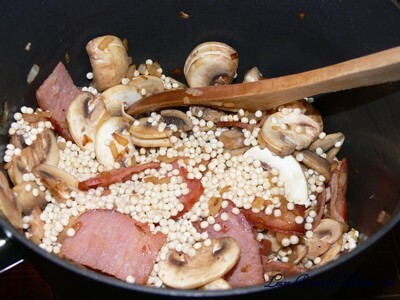 I do like the pearl couscous, especially with bacon, mushroom and spinach. It’s funny that it’s not couscous at all, but a type of pasta. I suppose calling it ‘couscous’ makes it sound more exotic. 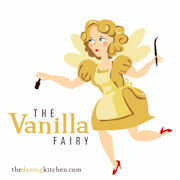 It’s a shame the dessert version didn’t work out, since it looks very pretty. You can’t go wrong with bacon and mushrooms though – that sounds very tasty. This looks like a very refined cuisine for me. Love to try it with the normal couscous cause that is all I could find here in Bangkok. 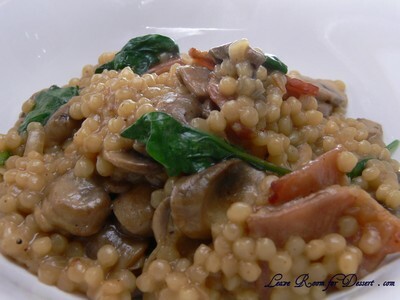 Hi Anita – I love the Bacon, mushroom and spinach combination – the dish almost looks like a risotto to me! But even better because it takes less time to cook and sounds more forgiving than rice! Thanks for sharing! Your so creative anita! I cant believe you made a dessert with couscous! And its look fantastic. I’ve fallen in love with this couscous, its so delicious and easy to make! 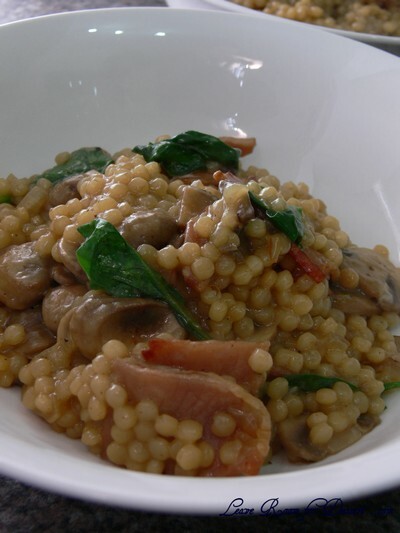 I love the texture of pearl couscous, and it sounds delicious with spinach and mushrooms! oh i have this at home but just keep forgetting that i have it! im thinkin a sweet cous cous with butter, almonds slices, some knobs of sweet pumpkin, and raisins! Baking is my passion, a passion best shared with others. P.S. Thanks for visiting my blog! Please leave a comment, I love hearing from you.